There is something about this drama that is captivating without being demanding viewing. It is a show that you can sit down, settle in and just enjoy. They create a world that is enjoyable to soak up. It is certainly in the right time slot, it is typical of Sunday night viewing on BBC One. It was interesting to see that despite Mr Norrell being slightly introverted he clearly couldn’t hide the fact that he liked the praise he got from influential people after his success with the rain ships. This is a really complex character. The fantastical tangents the episodes go on are more enjoyable when they are few and far between. If anything the fact that the magic is held back a little bit makes its appearance more special. 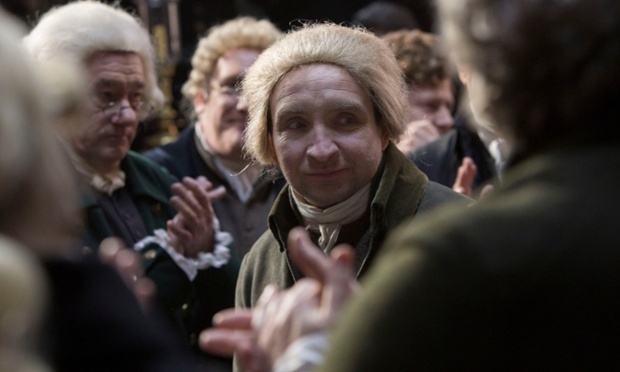 Eddie Marsan is a fantastic actor, he is mostly only seen in critically acclaimed movies so it is good to see the formidable character actor every week in a BBC TV series. 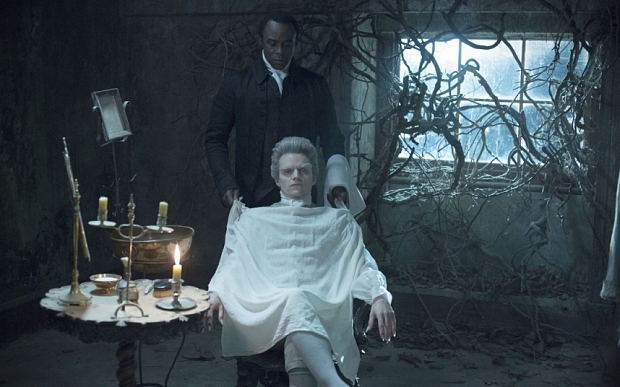 The Gentleman played by Marc Warren is a fascinating character, a real enigma to the audience. The people responsible for adapting the book for the screen make the audience think they know the rules and then add a whole new element which brings another layer of mystery. The dialogue is very well written, full of intrigue and mystery, especially the scenes with The Gentleman. For example something I noticed to be very odd was when Marsan refers to Warren’s character as being of a different race. The world building in this series is clearly strong. Childermass seems like a very interesting character, I am hoping for an episode in the future with some character exposition regarding him. Scenes that have a surreal dream-like quality never fail to have an effect on the audience as everyone has experienced weird stuff that makes no sense in their actual dreams. The concept in this episode of people interacting in the same dream is very cool and executed in a really interesting way. The writer has taken an idea that is in many TV shows with different settings and time periods but implemented it into their own story in a way that makes a lot of sense. Although we see that spells have written instructions we never see how they learn to perform them. They do sometimes move their lips but we never hear the words, there doesn’t seem to be a method. Magicians creating giant horses out of sand to help a ship that has run aground and travelling to the frontline to help in the war, things are getting very interesting indeed.